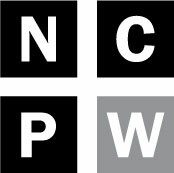 NC Policy Watch presents a special Crucial Conversation luncheon. As FBI and congressional investigations into the troubled Trump presidency continue and worrisome new revelations emerge regarding the president’s ties to Russia on an almost daily basis, respected figures are now talking seriously about the possibility of impeachment. How realistic is this talk? On what grounds might such proceedings be based? How would they go forward? What can we learn from the nation’s three previous presidential impeachments? What’s next in this sobering saga? Please join us as we explore these questions and others with one of the nation’s leading constitutional scholars, Professor Neil Siegel of the Duke University School of Law. About the speaker: Neil S. Siegel is the David W. Ichel Professor of Law and Professor of Political Science at Duke Law School, where he also serves as co-director of the Program in Public Law and director of the DC Summer Institute on Law and Policy. Professor Siegel’s research and teaching fall in the areas of U.S. constitutional law, constitutional theory, and federal courts. Professor Siegel’s scholarship addresses a variety of areas of constitutional law and, in doing so, considers ways in which a methodologically pluralist approach can accommodate changes in society and the needs of American governance while remaining disciplined and bound by the rule of law. Professor Siegel served as special counsel to Senator Joseph R. Biden during the U.S. Supreme Court confirmation hearings of John G. Roberts and Samuel A. Alito. During the October 2003 term, he clerked for Associate Justice Ruth Bader Ginsburg at the U.S. Supreme Court. He also served as Bristow Fellow in the Office of the Solicitor General at the U.S. Department of Justice during the tenure of Solicitor General Theodore B. Olson, and as law clerk to Judge J. Harvie Wilkinson III of the U.S. Court of Appeals for the Fourth Circuit. When: Tuesday June 20, at noon — Box lunches will be available at 11:45 a.m.
Where: NOTE – LOCATION HAS CHANGED — The event will now take place at the North Carolina Association of Educators Building, 700 S. Salisbury St. in downtown Raleigh. There will be ample on-site parking.